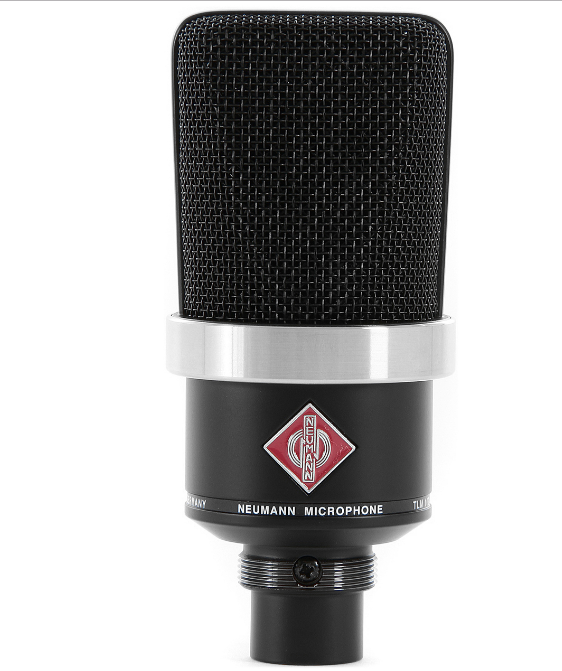 The reduced overall size contributes to an exceptionally compact appearance, which unites all of the typical design components of a Neumann microphone. The harmonious proportions and gleaming grille ring ensure that even at first glance, the TLM 102* attracts attention. The TLM 102 is impressive in terms of sound: In the interior is a newly developed large-diaphragm capsule (cardioid) with a maximum sound pressure level of 144 dB, which permits the recording of percussion, drums, amps and other very loud sound sources, for example. Instruments that are not especially loud also benefit from the very fast transient response of the TLM 102. However its most important applications are in the realm of vocals and speech; a slight boost above 6 kHz provides for excellent presence of the voice in the overall mix. Up to 6 kHz the frequency response is extremely linear, ensuring minimal coloration and a clearly defined bass range. The capsule has an elastic suspension for the suppression of structure-borne noise. 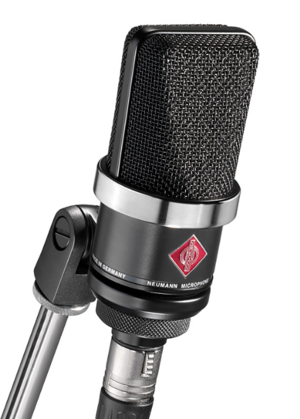 A pop screen integrated into the grille serves to suppress plosives in vocal and speech recording. Due to its price and flexible field of application, the TLM 102 is ideal for the home recording and project studio sector, as well as for the broadcasting area, especially when clear lines of sight to the speakers are a priority.